Bengaluru Sep 14 (IANS) President Ram Nath Kovind is visiting Karnataka on Saturday to participate in the platinum jubilee celebrations of Karnataka Law Society (KLS) at Belagavi in the state s northwest region an official said on Friday. 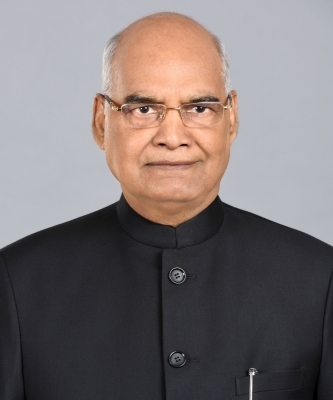 "The President will herald the 80th year-long platinum jubilee celebrations of the KLS and inaugurate the Gogate Institute of Technology campus at Belagavi on the occasion " the official told IANS here. Belagavi is about 500 km from the southern state s capital Bengaluru. Kovind will also new campus of Raja Lakhmagouda Law College in the city on the occasion. "The President will address the students faculty and the gathering at both the events " added the official. Besides Kovind Chief Justice of India Deepak Mishra Karnataka Governor Vajubhai R. Vala and Chief Minister H.D. Kumaraswamy will participate in the events among others. Attorney-General K.K. Venugopal an alumnus of the law college will also be present. Belagavi Deputy Commissioner S. Ziyaullah reviewed the security arrangements and protocol to be maintained during the President s visit to the city. Set up in 1939 the 79-year-old Society runs a number of educational institutions including schools under-graduate and post-graduate colleges in arts science commerce law engineering and medicine. The celebrations will include lecture series and cultural programmes.